"Common Sense is the leading independent nonprofit organization dedicated to helping kids thrive in a world of media and technology. They empower parents, teachers, and policymakers by providing unbiased information, trusted advice, and innovative tools to help harness the power of media and technology as a positive force in all kids’ lives." 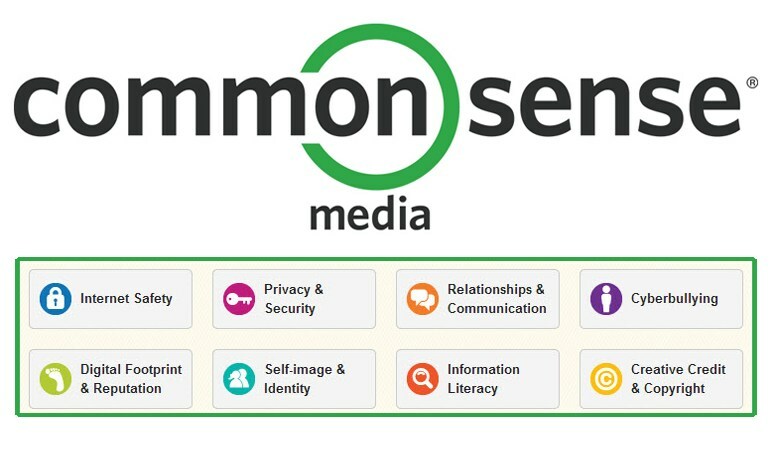 "Common Sense Media helps families make smart media choices. They offer the largest, most trusted library of independent age-based and educational ratings and reviews for movies, games, apps, TV shows, websites, books, and music. Their Parent Concerns and Parent Blog help families understand and navigate the problems and possibilities of raising children in the digital age."